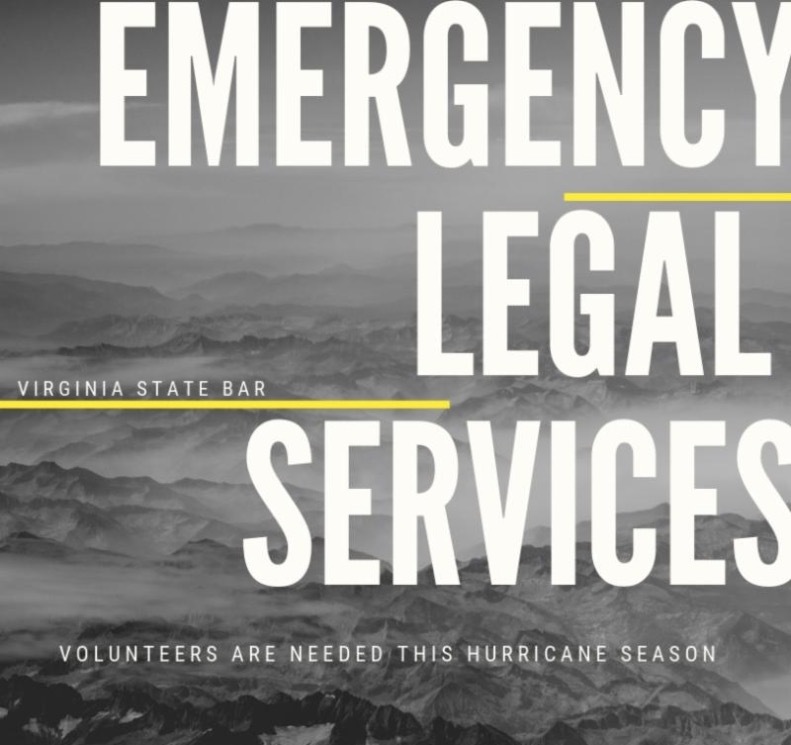 With Hurricane Florence quickly approaching and the season for dangerous storms upon us, the Virginia State Bar is calling for volunteers – active/emeritus and in good standing lawyers – willing to provide pro bono legal services to those affected by flooding, destructive winds, and other natural disasters. Interested lawyers should take a moment to read the Emergency & Disaster Legal Services training manual prepared by the VSB’s Young Lawyers Conference. Sign up to answer questions at Virginia Free Legal Answers. The free service, which connects eligible Virginians to licensed attorneys online, will be available to residents in need of advice and counsel related to issues stemming from the natural disaster. Volunteer Attorney Registration. Register to be part of the VSB’s emergency legal services HOTLINE network. For those in need without power or internet, the hotline allows those affected by a natural disaster to speak to an attorney about their emergency legal needs for free. For more information about pro bono emergency legal services, contact Crista Gantz/ 804-775-0522.